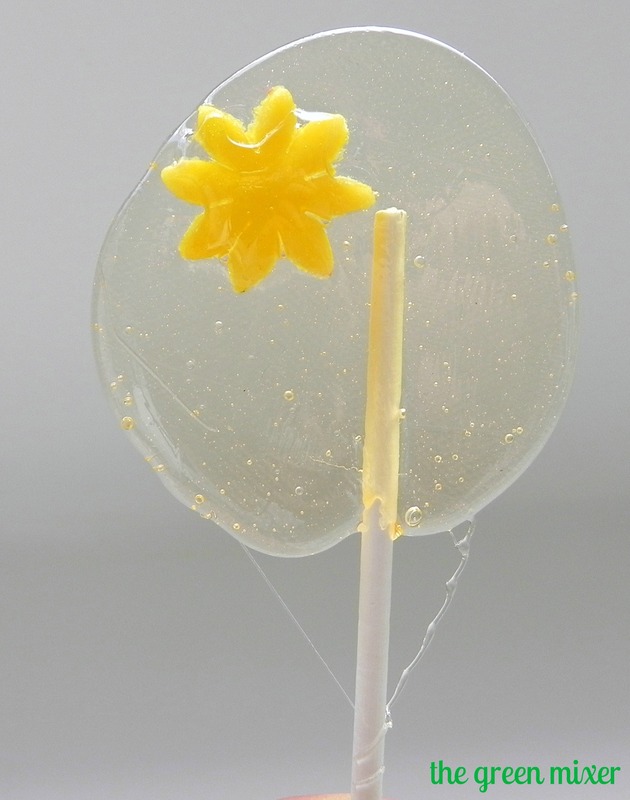 you should avoid making them when it’s humid, as they won’t crystallize properly and they will be sticky. In a heavy duty saucepan,pour the sugar, then add the water, and then the glucose syrup, in medium heat. You can add a few drops of color if you wish (I added it at the end). Without stirring, heat the mixture to 150⁰C (it took me about 15-20 mins). If you don’t have a candy thermometer, just pour a bit of the caramel (half a teaspoon or so) in a bowl or glass with cold water and if the caramel hardens up then it is ready, if not, let it boil a bit more and do the test again. When it’s ready, take it off the heat and allow it to sit for a minute (it will be quite bubbly, but don’t worry). Pour spoonfuls of the candy onto a baking sheet or a silicon baking mat and it will spread depending on the quantity (start with a spoonful and add as much as you like, depending on the size you want it – just have in mind that it will spread more on the baking sheet than on the silicon one). 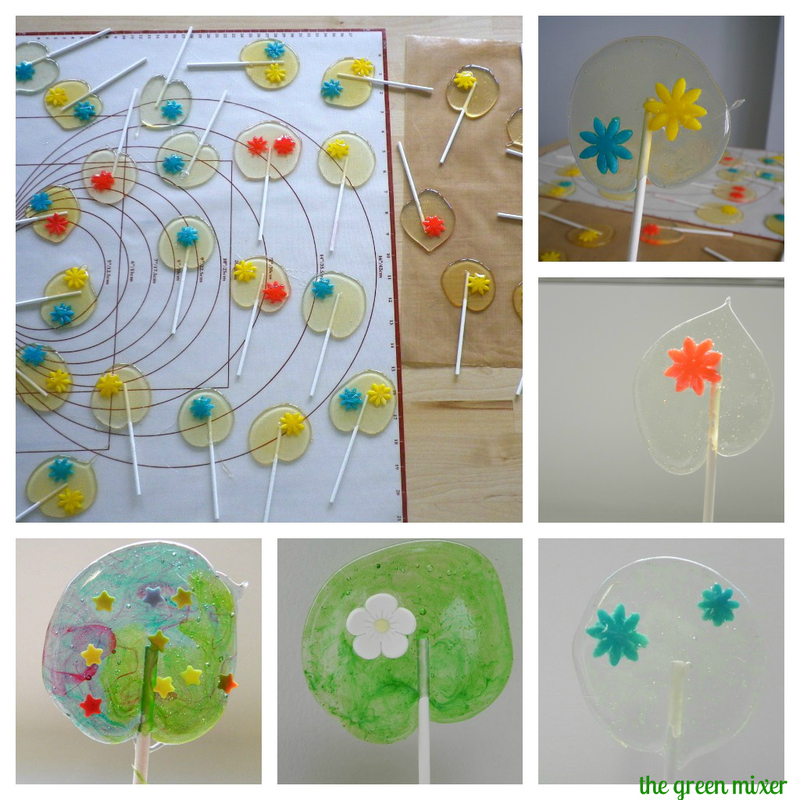 While it is still hot, add the lollipop stick and sprinkles, sugar-paste flowers or whatever decoration you like. 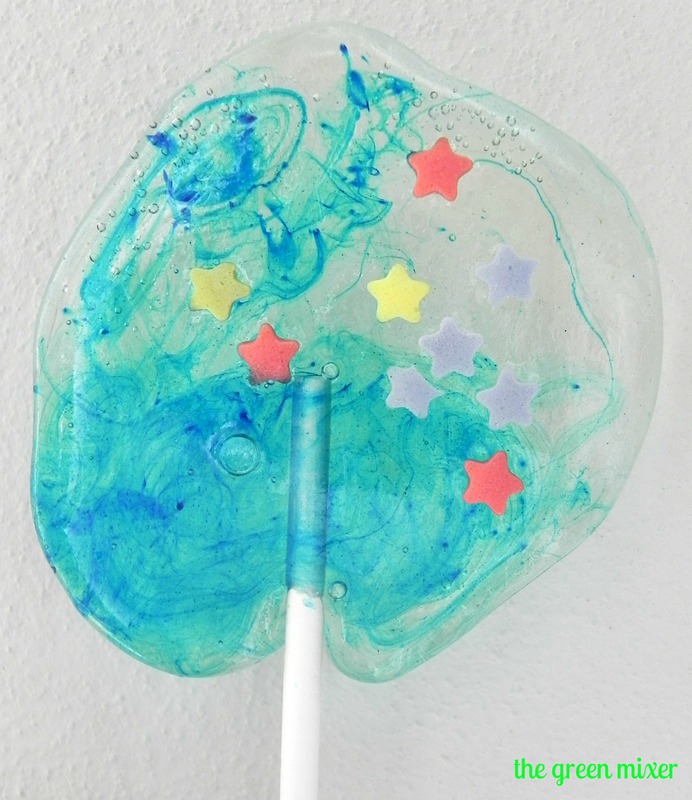 If we want to make various colored lollipops, instead of pouring the color at the beginning, you can add it at the end, after it boils. You can also divide the mixture in two or three pots and add a few drops of different colors. Just be quick because the caramel dries up quickly (you can always return the pot to the heat and re-heat it for a couple of minutes). Let them cool and pull them off the sheet carefully, using a knife gently if necessary. 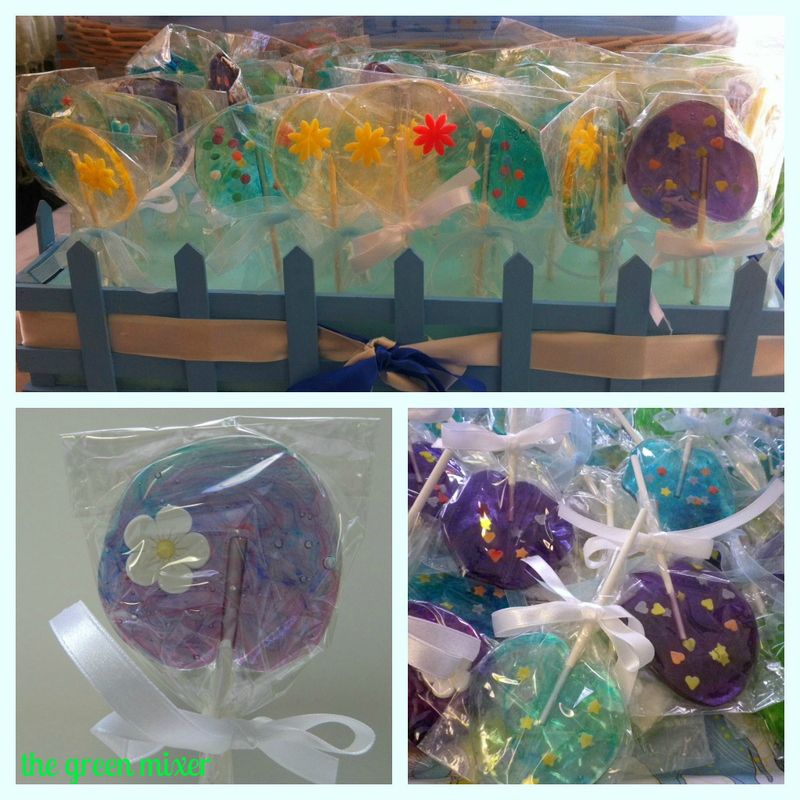 Wrap them in cellophane bags and close with a ribbon tightly.